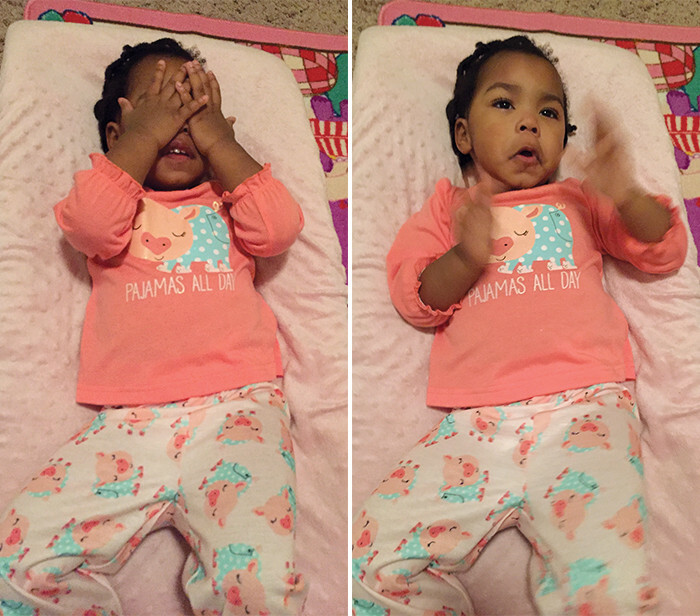 It’s not hard to make baby Juliza cute. What can I say? She was kinda born that way. Of course, that doesn’t stop me from trying to make her cuter when I’m shopping for her clothes. At this age, though, when she’s growing like a weed, I can’t afford for that cute to be expensive. It’s just not worth it when she’ll only wear any given item for a few months, at best. This is why I love Child of Mine by Carter’s. Carter’s is easily in my top three baby and kids clothing brands. Their stuff is soft and comfy, and it’s always cute. 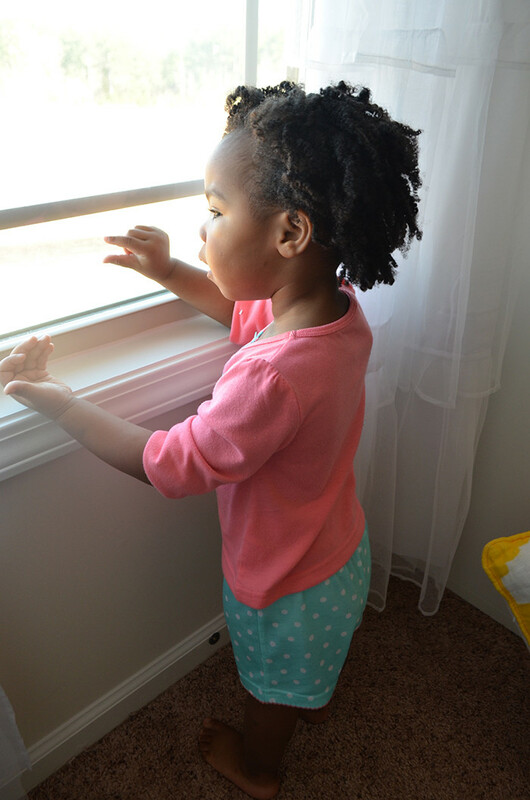 The Child of Mine by Carter’s brand brings all of that to Walmart customers at an even more affordable price. We already have lots of this brand among Juliza’s wardrobe, but I’ll never pass up an opportunity to try some more. 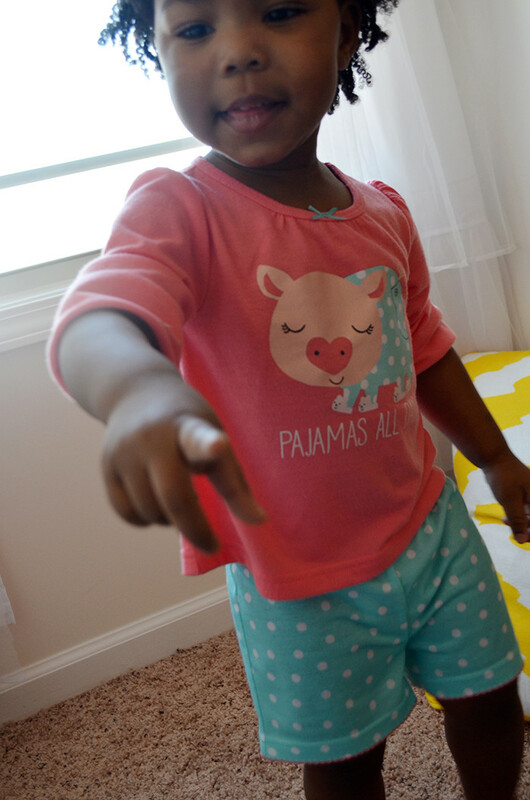 Walmart sent us these adorable Child of Mine by Carter’s pajamas, and she couldn’t wait to try them on. The fabric is silky smooth, and I love the pattern on the pants and the graphic print on the top. One day, we took its advice and Juliza wore them all day. It was still tough to get great photos, because the child wouldn’t stop moving. 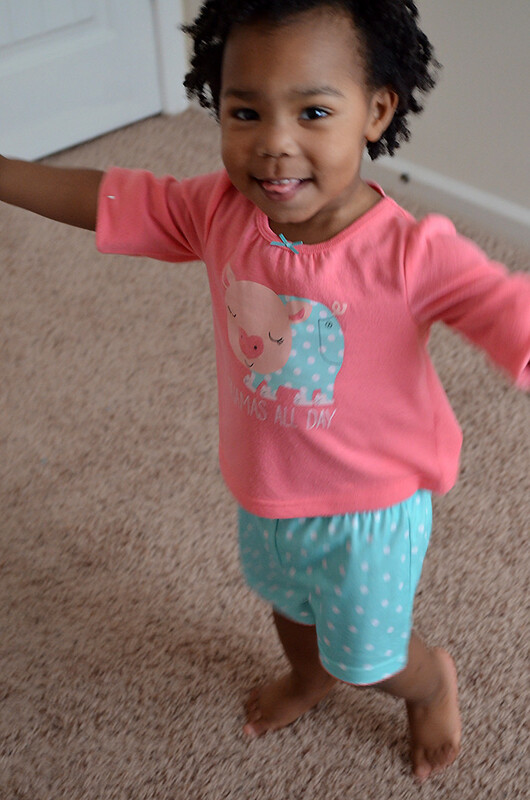 But I managed to capture a few shots that show just how happy she was in her new PJs. The set comes with a long-sleeved top, and two pairs of pants: Short and long. They’re the perfect transitional pajamas for the fluctuating weather of late winter/early Spring. My biggest complaint is that this brand only goes up to 24 months in sizing, so there’s not much she’ll actually be able to wear. As it is, these pajamas may only fit for another month or two before they’re too small. So I really need them to extend into toddler sizing. I’m going to miss this brand when she sizes out completely. you’re in luck! these styles are offered in 2T-5T, as well.